Sophomores and Juniors – are you a dancer, artist, performer, instrumental or vocal musician? Applications are now available for the 2016 Summer Residential Governor’s School. See a fine arts teacher or pick up an application in Counseling Office 611. All girls interested in playing basketball a meeting of interest will take place on Thursday, November 5th at 2:30 in room 416 (across from the gym). Tryouts will be held Monday, November 9th – Wednesday, November 11th – times TBD. The WJCC Police Department is “Stuffing the Cruiser” to help bring Thanksgiving meals to many local families. Bring a non-perishable item to Senior Night on Thursday, November 5th from 5:30 – 6:15 at Wanner Stadium and receive a free Chick-fil-a sandwich (while supplies last) and free admission to the game. Lafayette has partnered with Bayport Credit Union, open an account by Friday, October 30th for your chance to win a $100 Visa card. See the Bayport kiosk located in the Upper Commons for more information. The WJCC Police Department is “Stuffing the Cruiser” to help bring Thanksgiving meals to many local families. Bring a non-perishable item to Senior Night on Thursday, November 5th from 5:30 – 6:16 at Wanner Stadium and receive a free Chick-fil-a sandwich (while supplies last) and free admission to the game. 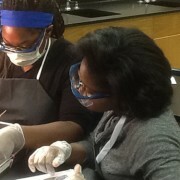 Students in Ms. Millgan’s science class dissect a rat. https://wjccschools.org/lhs/wp-content/uploads/sites/20/2015/10/Rat-Dissection-Resized.jpg 375 710 Amy Wallisch https://wjccschools.org/lhs/wp-content/uploads/sites/20/2017/10/Lafayette-High-School.png Amy Wallisch2015-10-28 14:15:182015-10-28 14:15:30Students in Ms. Millgan's science class dissect a rat. Students play a keyboard made of pennies in the library’s new Creation Station! The library has created a “Creation Station” where students use different materials and technology to explore and create products on their own time. The picture shows LHS students playing a keyboard made of pennies that was created with Makey Makey, which is a device that “turns everyday objects into touchpads and combines them with the Internet”. 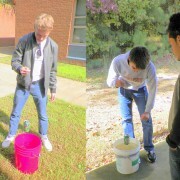 https://wjccschools.org/lhs/wp-content/uploads/sites/20/2015/10/Makey-Makey-Resized.jpg 375 710 Amy Wallisch https://wjccschools.org/lhs/wp-content/uploads/sites/20/2017/10/Lafayette-High-School.png Amy Wallisch2015-10-28 08:48:392018-03-09 09:06:43Students play a keyboard made of pennies in the library's new Creation Station! 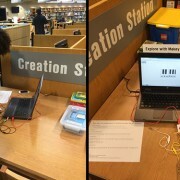 https://wjccschools.org/lhs/wp-content/uploads/sites/20/2015/10/Makey-Makey-Resized.jpg 375 710 Amy Wallisch https://wjccschools.org/lhs/wp-content/uploads/sites/20/2017/10/Lafayette-High-School.png Amy Wallisch2015-10-28 08:44:302015-10-28 08:53:24Students play a keyboard made of pennies in the library's new Creation Station! Are you a dancer, artist, performer, instrumental or vocal musician? Applications are now available for the 2016 Summer Residential Governor’s School. See a fine arts teacher or pick up an application in Counseling Office room 611. The deadline for the PTSA Reflections program has been extended to Friday, October 30th at 2:00 pm. The theme is Let Your Imagination Fly and student entries in art, music, photography, poetry and creative writing are needed. Top prizes will be awarded. Submission forms are located in the main office. The History on Film Club presents Quo Vadis today at 2:30 in the Lecture Hall. Swim team reminder – the organization meeting will be at 2:30 today after school in the upper commons. Sophomores and Juniors – are you a dancer, artist, performer, instrumental or vocal musician? Applications are now available for the 2016 Summer Residential Governor’s School. See a fine arts teacher or pick up an application in Counseling Office room 611. Davidson College, University of Richmond, and Sacred Heart University will be here this week. Sign up in the Counseling Office, see Mrs. Pottle if you have any questions. The library will be closing today at 2:30. We will resume our normal schedule on Tuesday. The History on Film Club presents Quo Vadis on Tuesday, October 27th at 2:30 in the Lecture Hall. The deadline for the PTSA Reflections program has been extended to Friday, October 30th at 2:00 pm. The theme is Let Your Imagination Fly and student entries in art, music, photography, poetry and creative writing are needed. Top prizes will be awarded! Submission forms are in the main office. Juniors and Seniors: Davidson College, University of Richmond, and Sacred Heart University will be here this week. Sign up in the Counseling Office and see Mrs. Pottle if you have any questions. The ASVAB test will be given on Friday, December 4th at 7:30. To sign up for the test, please add your name to the ASVAB signup sheet in the blue binder, on the black book case, in the counseling office. Space is limited to 20 students, grades 11 and 12. Attention Sophomores and Juniors – Are you a dancer, artist, performer, instrumental or vocal musician? Applications are now available for the 2016 Summer Residential Governor’s School. See a fine arts teacher or pick up an application in Counseling Office 611. Any student wishing to come to the library during today’s pep rally must sign up in the Media Center before the pep rally begins. Any student without a pass will be turned away. The PTSA Reflections deadline has been extended to Friday, October 30th. “Let Your Imagination Fly” and create a work of art in any of the acceptable media. Forms can be found in the front office, prizes are awarded to top students. The LHS PTSA will sell Ram spirit wear, car magnets and Ram packs today at the homecoming game. You can also join the PTSA for $5.00. Look for the table at the game.